Welcome to the 20th issue of Tourism Around Europe, a quarterly newsletter for competitive and sustainable tourism. 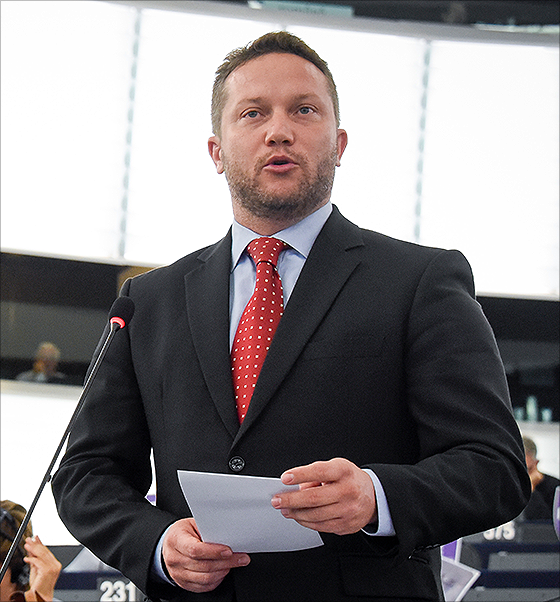 For this issue I had the pleasure to interview István UJHELYI, Member of the European Parliament, Vice-Chair of the Committee on Transport and Tourism and responsible for the Tourism Task Force Group of the European Parliament. István UJHELYI shares with us his vision and his approach for a growing European tourism industry. We talk about The Tourism Manifesto, the initiative “European Capital of Tourism", the role of the European Parliament in connection with the International Year of Sustainable Tourism for Development in 2017, the European Year of Cultural Heritage in 2018 and the EU-China Tourism Year 2018. We have started the process to select the host organization of the 2017 PM4SD Summer School in Leadership and Governance for Sustainable Tourism. The 2016 Summer School was hosted by Icelandic Tourist Board, we had an inspiring and wonderful time in Akureyri. You can download the presenations here. The Summer School is a 3 days High Level event, co-organized by the Foundation for European Sustainable Tourism (FEST) and the European Travel Commission (ETC) to address one of the most important themes in the tourism industry: how to plan and deliver transformative tourism projects and initiatives to generate a sustainable visitor economy. This year it will be a special edition in connection with the 2017 Internatioanl Year. You will find, in the Obersvatory Section, infos about EU tourism statistics, the UNWTO campaign and activities for the Official Launch of the International Year of Sustainable Tourism for Development 2017; the Euromonitor report Top 100 City Destinations, the Maltese Presidency priorities. 2017 seems to be a very promising year in terms of funding, partnerships and events for the tourism and travel industry. I wish to invite you to check the sections dedicated to funding, projects, awards and events, you may discover opportunities for you. With Cardiff Metropolitan University and Malta University we have open the selction of 15 delegates for a 5 days PM4SD transnational training course which it will take place in cardiif from the 12th to the 16th of June. This is an opportunity offered through the EU Project Co-Lead. I hope you will enjoy the reading and I wish you a bright and successful 2017. For this issue I had the pleasure to interview István UJHELYI, Member of the European Parliament, Vice-Chair of the Committee on Transport and Tourism and responsible for the Tourism Task Force Group of the European Parliament. In 2016, the number of nights spent in tourist accommodation establishments in the European Union (EU) is expected to have reached more than 2.8 billion, up by 2.0% compared with 2015. Since 2009, there has been a steady increase in the number of nights spent in tourist accommoda-tion establishments in the EU, notably driven by the rise in the nights spent by non-residents of the Member State. In 2016, Spain (454 million nights, +7.8% compared with 2015) accentuated its lead, ahead of France (395 mn,-4.6%) and Italy (395 mn, +0.5%), Germany (390 mn, +2.8%) and the United King-dom (292 mn, -4.5%). 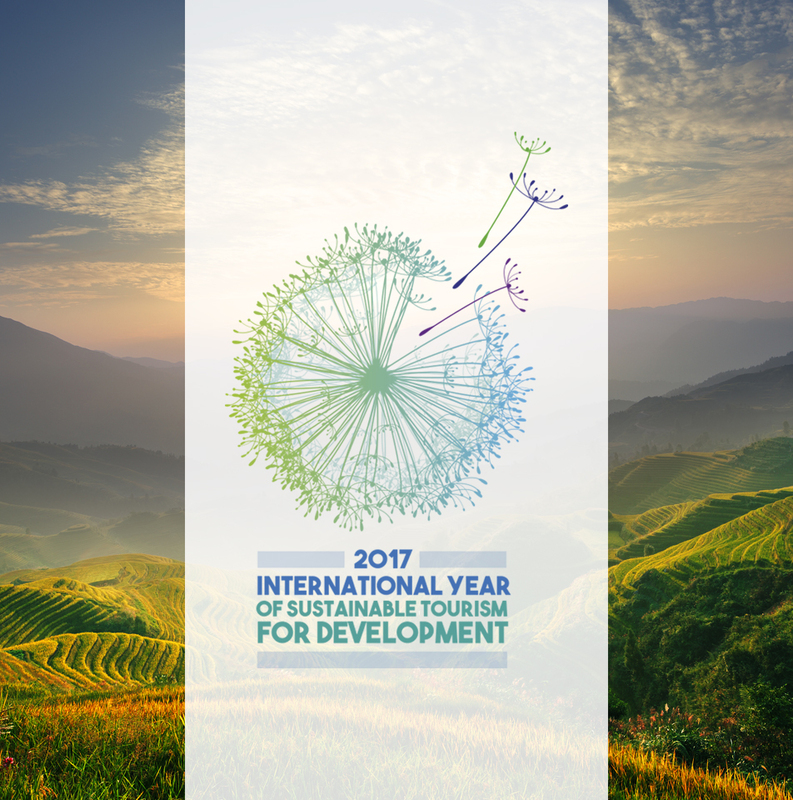 Nearly 600 participants attended the Official Launch of the International Year of Sustainable Tourism for Development 2017. The event took place, the 18th of Jan, in the International Tourism Fair of Spain, FITUR, and will be followed by 12 months of global actions aimed at advancing sustainable tourism contribution to the 2030 Agenda for Sustainable Development. The event underlined the immense socio-economic opportunities brought by the sector to all societies as well as its power to advocate for mutual understanding, peace and sustainable development worldwide. On the occasion, UNWTO announced the nomination of the Ambassadors of the International Year: HE Ellen Johnson Sirleaf, President of Liberia; HM King Simeon II; Huayong Ge, President, UnionPay; Dr Talal Abu Ghazaleh, Chairman, Talal Abu-Ghazaleh Organization and Dr Michael Frenzel, President, Federal Asso-ciation of the German Tourism Industry. The event also marked the launch of the International Year campaign ‘Travel.Enjoy.Respect’, (Travel.Enjoy.Respect Campaign) aimed at promoting sustainable tourism among travelers in partnership with CNN and RTVE. Euromonitor has published its worldwide Top 100 City Destinations ranking, covering 100 of the world’s leading cities in terms of international tourist arrivals. 2015 was another turbulent year. Terrorist attacks, geopolitical conflicts, economic uncertainty, and health scares including MERS and Zika were just some of the factors impacting city arrivals. Nevertheless, top cities outperformed global travel flows, registering growth of 5.5% in interna-tional arrivals compared to 2014, showing the resilience of global cities as travel destinations. This report provides the context behind the numbers, explaining why Japanese cities were the big winners in 2015, how Middle Eastern and Western European cities dealt with the turbulence sur-rounding them, and how Rio de Janeiro performed in a year without a mega-event to host. Countries with a comparable offering to France, Turkey, Egypt and Tunisia (which were hit by terrorist attacks) saw booming international arrivals. Spain, Greece, Portugal and Italy, in particular, attracted growing numbers of visitors. With the exception of Heraklion, on Crete, and Rhodes, which continued to be impacted by the continuing migrant crisis, all cities in these countries showed strong growth. Athens had another record year with arrivals growing by 22.6% in 2015, despite political and economic turmoil. See the winners and download the full report here. Transport and tourism: ship and aviation safety, digitisation in mobility. The Presidency plans to put maritime transport high on the political agenda. It hopes to conclude negotiations on updating the passenger ship safety rules and make progress with the directive on port facilities for ship-generated waste, said Minister of Infrastructure and Transport Joe Mizzi told the Transport and Tourism Committee on 25 January. Tourism Minister Edward Zammit Lewis said the Presidency looks forward to starting negotiations with Parliament on aviation safety and the European Aviation Safety Agency soon and called for the single market to be completed, to benefit the tourism sector. MEPs quizzed the ministers about the Presidency’s vision on the upcoming road initiatives, how to highlight opportunities in digitisation for mobility how to boost development on environmentally-friendly maritime transport. Finally, they asked how the Presidency intends to make sure that there is fair competition between rail and road transport. To know more about the Maltese Presidency click here. The Co-Lead Tourism Project won the ATHE Award “Best project for Leadership in the Visitor Economy”. The Association of Tourism in Higher Education (ATHE) Awards scheme celebrates the impact that teaching, learning and research in tourism can have on society. The awards were presented at the annual conference at Cardiff Metropolitan University 7-9th December 2016. CoLeadTourism is a European pro-ject, co-funded by the Erasmus+ Programme of the European Union, implemented to develop and test PM4SD as capacity building training, to train and empower professionals, civil servants and trainers with appropriate management skills and expertise to design and deliver transformative sustainable tourism projects and startegies. Applications are now open for the training course infCardiff from the 12th to the 16th of June 2017. The Cardiff PM4SD CoLead Training Course is a 5 day course including the PM4SD Foundation and the PM4SD Practitioner. This is unique opportunity to gain project management skills and certification at a senior level and become a PM4SD trainer. The course will be held with an exclusive selection of 15 delegates. More details about the training venue in Cardiff can be found in the Practical Information Sheet. Detailed information about the purpose, structure and intent of the training course can be found in the CoLeadTourism Information Pack. Download the application form from the website. The South Baltic Programme aims at unlocking South Baltic’s potential for blue and green growth through cross-border cooperation between local and regional actors from Denmark, Germany, Lithuania, Poland and Sweden. Building on the maritime character of the Programme, ‘blue growth’ addresses the economic potential of the Baltic Sea for growth and jobs across the shores of the South Baltic. At the same time, ‘green growth’ underlines the need to pursue the path of economic growth in balance with the environ-ment, in particular by utilizing South Baltic’s rich natural and cultural heritage in a sustainable and preserv-ing manner. The Programme resources are invested in key areas relevant for the South Baltic blue and green economy. These are called specific objectives. One of them is sustainable tourism. Currently, nine sustainable tourism projects are implementing their activities in the South Baltic Programme, addressing maritime heritage (Baltic Pass project), cycling tourism (Biking South Baltic), destination management (South Coast Baltic), cruise ships management (JOHANN), cross-border tourism communication and cooperation (Baltic Sea Tourism Center), cross-border ecotourism (Attractive Hardwoods), coastal angling tourism (CATCH) and others. For more information on projects, how to start, how one can engage please visit the South Baltic Pro-gramme website: https://southbaltic.eu/tourism, or contact responsible for sustainable tourism project Pro-ject Officers, Iuliia Kauk (iuliia.kauk@southbaltic.eu) and Dominika Butkiewicz (dominika.butkiewicz@southbaltic.eu). As a follow-up to the Project “Sustainability and Tourism in the Mediterranean”, the S&T Med Partners led by the Ministry of Cultural Heritage and Tourism of Italy have launched a Network gathering sustainable Mediterranean Coastal Destinations, and their stakeholders, including governments, SMEs, operators of the tourism value chain. The Network is meant to become a reference framework, a hub, to support Mediterranean destinations in the concrete application to tourism of the principles of sustainable development and management, stimulating endogenous and harmonious development that can guarantee equal sharing of benefits across participating communities, protection and valorisation of the cultural and environmental assets in full respect of local values and traditions. Ten blue growth projects are to receive grants under the European Maritime and Fisheries Fund (EMFF) as part of the 'Blue Careers' and 'Blue Labs' calls for proposals. In total, 125 proposals were evaluated by the Executive Agency for Small and Medium-sized Enterprises (EASME) which manages the projects. The 'Blue Careers' call (€3.45 million) aims at boosting skills and enhancing career opportunities in the mar-itime economy. The 'Blue Labs' call (€1.7 million) aims at supporting multidisciplinary initiatives involving young researchers to bring research results to the market. Final grant agreements are likely to be signed in February. The three Blue Growth calls for proposals were announced in 2016, with a total budget of more than €7.5 million. The third call, on Blue Technology, is still being evaluated. Deadline for application: 15 March 2017. More info here. Deadline for application: 20/04/2017. Guidelines here. Deadlines for applications and guidelines here. State of play and latest information here. Guanajuato’s State Ministry of Tourism (Mexico), Carlson Rezidor Hotel Group (Belgium), Govardhan Ecovillage (India) and Dutch Travel Trade Association (Netherlands) were the winners of 13th Edition of the UNWTO Awards for Excellence and Innovation in Tourism. Nearly 150 initiatives from 55 countries applied for this edition. The awardees of the 13th UNWTO Awards for Innovation are devided in four different categories. To know more click here. Skål International is is proud to announce the call for submissions to the 2017 Sustainable Tourism Awards. Learn more about the Sustainable Tourism Award 2017. The finalists for the 2017 Tourism for Tomorrow Awards have now been announced. To understand how diverse responsible tourism is and the many ways it can help local communities and environments, you only have to look at below examples, carefully selected by Tourism for Tomorrow judges. PM4SD aims to become the internationally recognised methodology to use tourism as a force for social, economic and cultural change, supporting the delivery of successful projects in a way that ensures benefits for everyone: visitors, local communities and stakeholders alike. The first training courses in PM4SD were launched in 2013, and certificates have been awarded at PM4SD foundation level to almost 200 professionals from 15 countries representing different types of organisations, such as national and local governments, international organisations, academies, tour operators and consultancy companies. The PM4SD™qualification is the next step for anyone involved in this growing industry looking for further demonstrate their commitment to sustainable tourism. 1st UNWTO World Conference on Smart Destinations, 15-17 February 2017, Murcia, Spain. Sustainable Tourism for Rural Development, 15-17 February 2017, Bergamo, Italy. Visit Flanders kickoff event International Year of Sustainable Tourism for Development, 24th February, Leuven, BE. For registatrion send an email to vincent.nijs@visitflanders.com. BIT Milano, 2-4 April 2017, Milano, Italy. BLUEMED – A Basin of Research and Innovation for Sustainable Growth, organized by the Maltese Presi-dency of the Council of the EU, 18-19 April 2017, Valletta, Malta. Should you be interested in attending this event, you are kindly requested to submit an e-mail to bluemed.mcst@gov.mt by 17 February 2017.